LOOK: Jennylyn Mercado shows off her long beautiful legs! How flawless are Jennylyn Mercado's legs? The once hailed Sexiest Woman set social media on fire again with a photo showing off her curves and those fine long legs in a black swimsuit. For the very first time, Ultimate Star Jennylyn Mercado is teaming up with seasoned actor Gabby Concepcion. Jennylyn and Gabby are set to star in GMA Network's newest romantic comedy 'Luv U 2' to air this year on GMA Telebabad. Joining them are Kiray Celis, Jerald Napoles, Shaira Diaz, Nar Cabico, Yasser Marta, and Sheena Halili among others. Watch out for this Kapuso! LOOK: Jennylyn Mercado and Alden Richards on a project together? Something's cooking for the Ultimate Star and the Pambansang Bae! Jennylyn's management hinted something to look forward to with Jennylyn Mercado and Alden Richards. What project could this be? Take a look at their photo below. This is a story about two lesbian lovers Bogs aka Maloy and Bebet but later on take on separate paths. After getting her heart broken, Maloy eventually finds love with Lando. . Here's what you missed from Magpakailanman. Watch the video below. Lando tries to pursue Maloy even if he knew that Maloy is not into men. Here's what you missed from Magpakailanman. Watch the video below. Trouble in paradise? Bogs is having doubts towards Bebet's faithfulness to her. Maloy could no longer contain her anger after receiving continuous racy and vulgar comments from two men at her place of work. 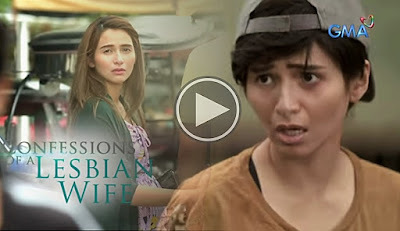 Watch out for the Ultimate Star Jennylyn Mercado in a special episode of Magpakailanman entitled "Confessions of a Lesbian Wife" this coming Saturday on GMA Network. Will Jennylyn Mercado and Alden Richards topbill the 'Descendants Of The Sun' remake? 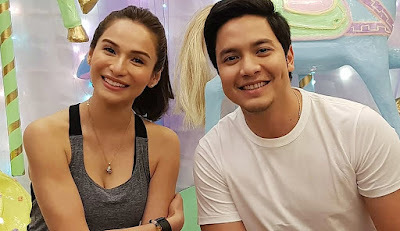 GMA Network is doing a remake of the well-loved Korean drama series, 'Descendant of the Sun' this year and two names having the most buzz to play the lead roles are Ultimate Star Jennylyn Mercado and Pambansang Bae Alden Richards. In case this pushes through, this will mark Jennylyn and Alden's first team up on GMA prime time. In past interviews, Jennylyn and Alden have been very vocal of wanting to work with each other. Could this be it? What do you think Kapuso?